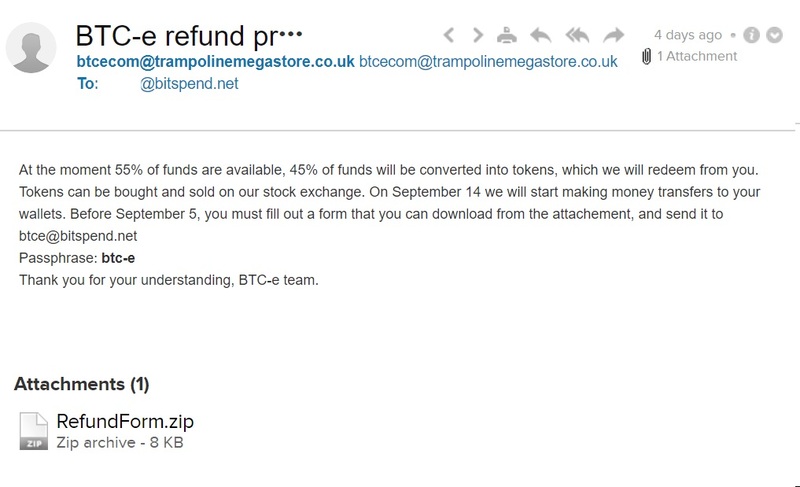 As with all things related to Bitcoin, you have to be careful with the emails you get. 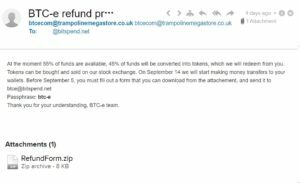 With recent news about BTC-e coming back somehow, hackers try to lure people into downloading malicious files, steal usernames and passwords, and Bitcoins, of course. Thank you for your understanding, BTC-e team. So, be extremely careful with emails and websites claiming you can get back your money. Don’t give them a password you use on other websites and don’t download any files. September 4, 2017 /by Jay G.